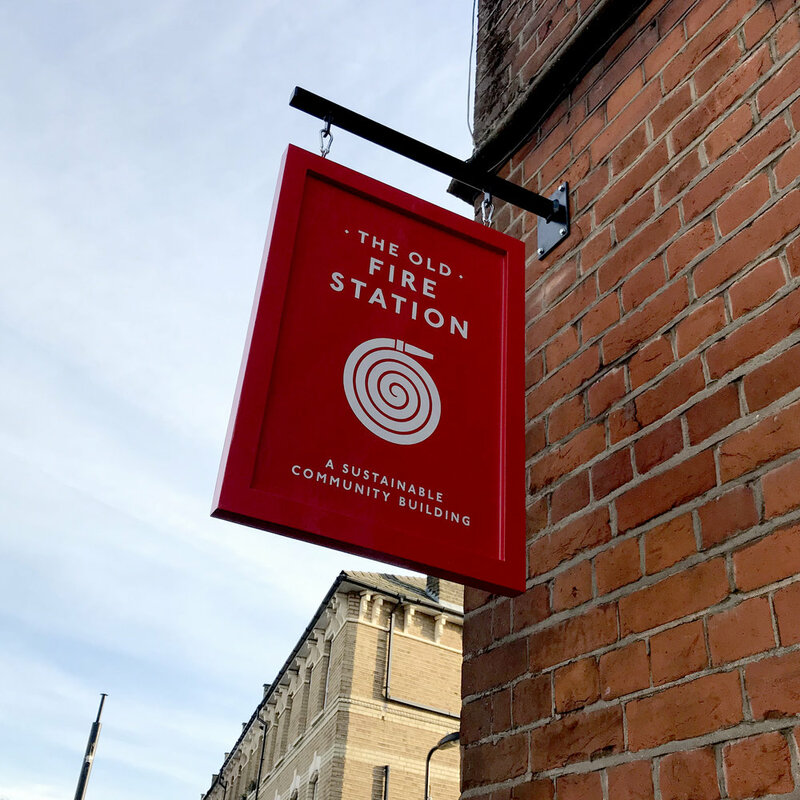 Re-brand and signage for The Old Fire Station, Stoke Newington. The Old Fire Station is a striking building and a part of Hackney’s urban heritage and landscape. It is a vibrant community building and is home to a number of charities and not-for-profit groups and organisations that provide services for the benefit the local people of Hackney. It is also a place where local people can run and attend community classes and events. All these things were key considerations when designing and implementing the improvements to the exterior of the building. 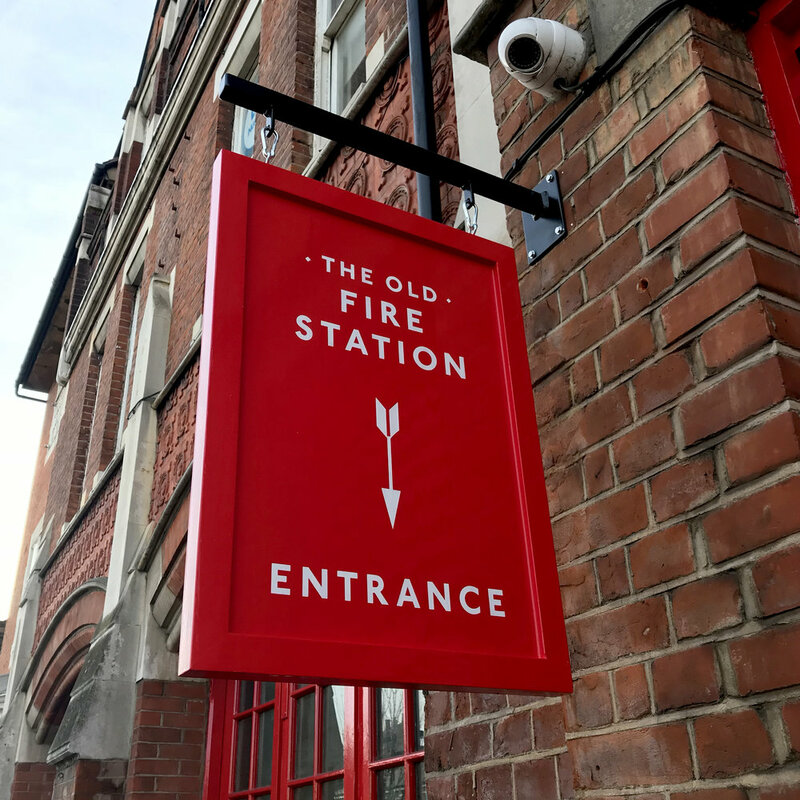 As well as providing welsoming entrances and bespoke signage we wanted the design to be in-keeping with the status of the building as a local landmark, making the most of its architectural potential.